Why are military armories failing? Since then, a lot has changed. 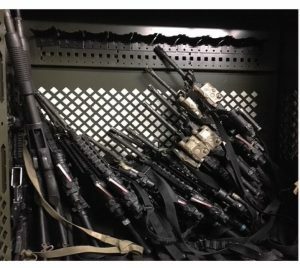 New weapons, new weapon rack manufacturers, and a much greater volume of serialized gear that must be organized and secured in the arms room. Here we present on overview of our 2018 arms room assessment. Armories are failing again, but for very different reasons. 10 years ago the issue was lack of flexibility to store the array of new weapons and gear. Now, it appears the pendulum has swung the other way. We see too much weapon rack flexibility. There is alos inefficient or non-existent storage for serialized gear. The military has gone through tremendous change in the last 20 years. Advances in weapons, optics and electronics has transformed the soldier from a simple rifleman to the modern war fighter. The infantry weapon has gone from a basic carbine rifle to a modular weapon system with adjustable options, and a wide variety of attachments. To address this these changes, the weapon storage industry has gone to modular weapon storage systems where weapon racks can be fitted with a variety of brackets to store the different weapon form factors. All these brackets are interchangeable and weapon racks can be reconfigured and adjusted very quickly. In theory this should make armories much more flexible and efficient. So why are there so many problems in modern armories? Why do so many weapon racks look like a train wreck. Why do sight counts, serialized counts and audits take so long? Why do so many things get damaged or lost? And why do soldiers still require stitches when an M4 falls from a weapon rack and hits them in the head? To better understand what is happening, we spent a lot of time with the Marine Corps, analyzing what they needed to do, how they were doing it and the problems that were occurring that prevented efficient completion of tasks. Note: we have also spent time in SOCOM and big Army armories and the problems are consistent across all DOD branches. 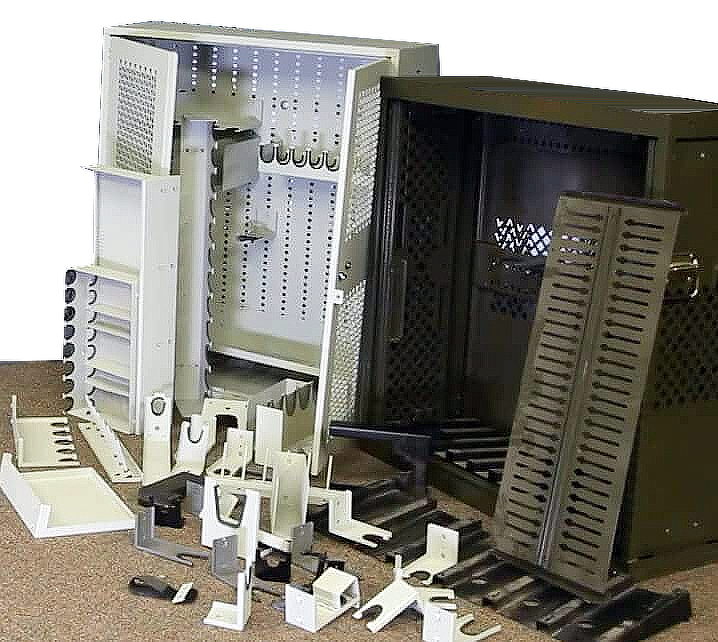 Modern weapon racks are all designed to be ultra flexible where by anyone can quickly change or relocate the internal components. This sounds great on paper and during a presentation but in reality this is what is causing a lot of the issues. Is flexibility and modularity killing armory function? Current manufacturers have taken the concept of flexible weapon storage that we outlined in our brief to USAFC 10 year ago, way off the deep end. Many weapon racks on the market today have so many brackets and different parts they are simply are not stable storage platforms. What we found in real world applications: If the components of a weapon storage system are real easy to move, people move them, even if there is not a good reason to do so. When weapon rack brackets get moved around and weapons are frequently relocated in the armory problems start. Many weapons have 2 piece brackets (upper and lower weapon support brackets). When re-configuring racks often only the upper is moved. The result is mismatched bracket systems and weapons no longer properly stored. In may cases we saw weapon racks with no internal brackets. They were simply lost. The rifles were all piled in the cabinet leaning against each other and in general, a mess. Many racks that were missing internal components were repurposed to store optics and high value gear. In these cases all the gear was piled in the cabinets with no organization. During sight counts and serialized inventory, gear gets spread across the floor in an effort to see serial numbers and count everything. This proicess can take all day and damage of high value gear is escalating. This is a growing problem. The volume of serialized and high value gear going into armories is increasing. Weapon racks do not properly store this gear. There were very few armories that had proper or adequate storage for these assets. The result in high damage and loss rates as well and poor inventory/audit function. In fairly quiet armories workflow may not be a big concern. In active armories such as security force units where weapons and gear are issued and returned rapidly several times a day workflow becomes critical. What we found in many armories were “creative work arounds” to deal with weapon storage systems that we inefficient or not properly laid out. It was not clear who did the original room layout. In some cases it was the military unit in others is was the company that sold the racks. 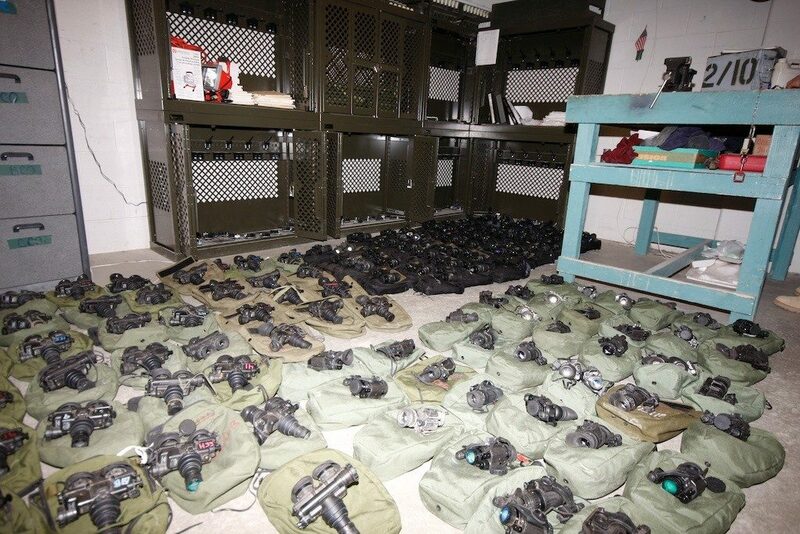 The work arounds typically involved relocating heavier weapon systems closer to issue ports and many different ways to deal with associated gear (Magazines, Radios, NVGs etc.) The work arounds -I use that term loosely as we saw all sorts of things, many of which were outside normal operating procedures and security requirements. Given a difficult task and a poor storage systems, armors will creatively make it work. However, as previously stated there is increased damage, injury and wasted time. 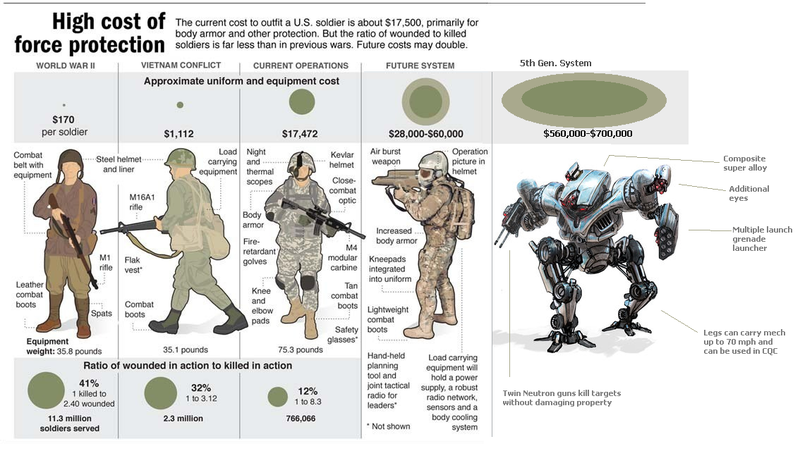 Weapon system continue to evolve and the volume of high value gear is increasing. So how do you create a sustainable weapon storage rack system?A solution that will function efficiently, safely and last 15, 20 maybe 30 years? Secure weapons in rack or cabinets with a positive holding system so they cannot fall from casual contact. While many in the industry say that armories are dynamic and change all the time. The reality is they do not. While many in the industry say that armories are dynamic and change all the time. The reality is they do not. Yes, things change, but not quickly. 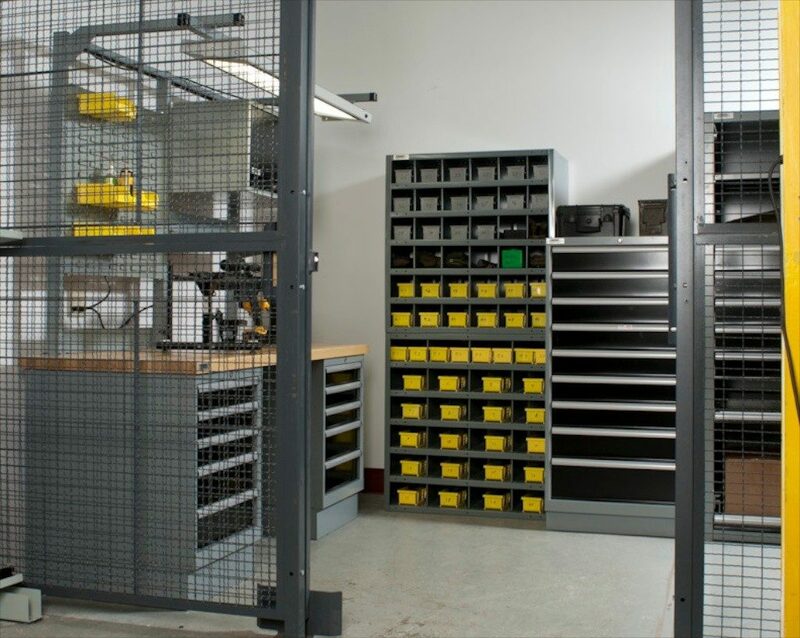 A properly designed and installed weapon storage system should work efficiently for many years. If there are significant changes in weapons and gear, the supplier should be contacted to review the changes and make recommendations to adapt weapon storage system to the new gear. The cost for this type of service is nominal or at no cost. SecureIt consultative services provides this type of support for our systems at no charge. If the armory has a lot of serialized gear, Modular drawer cabinets or work benches with drawers beneath should be used. The armorer can clearly see the serial numbers on all the items in the drawer, dramatically speeding site counts. Damage to sensitive gear is dramatically reduced. If you work in armories for a little while you or someone you know has been hit by a rifle falling from a weapon rack. In many cases the barrel or front site hits, requiring stitches. It would appear that the rate of injury is much higher then reported and is rising. This is a growing concern for leaders. Current solutions from “seismic” barrel saddles to tying 550 cord around the guns do not work well or prevent removal of the weapons when needed. For proper armory function and safety, weapon racks should hold rifles and other weapons in a manner that they can not fall as a result of casual contact, yet can be removed from or placed back into the rack quickly with one hand. In active armories such as base security forces, ergonomics and workflow are critical. 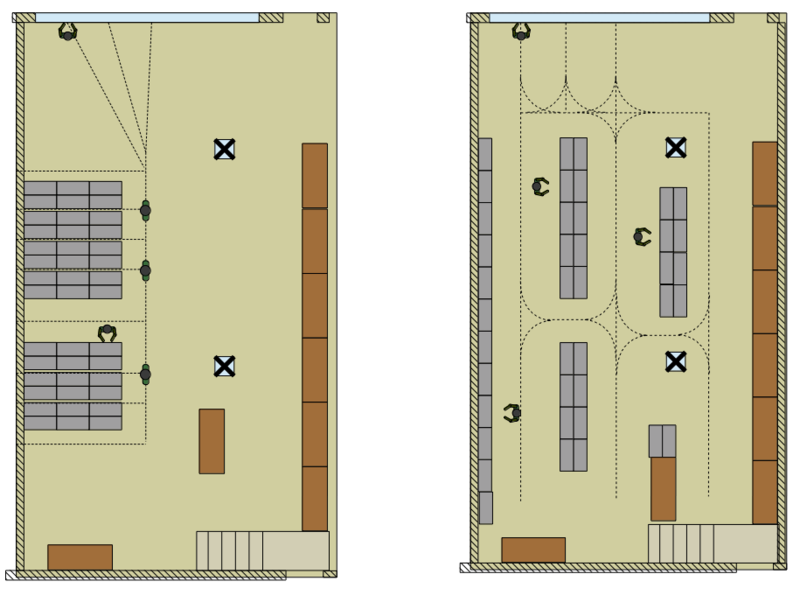 In the following example we were brought in to evaluate a solution developed by a high density storage company. While they were very experienced in commercial and medical records storage, they did not understand armories. Below is an analysis we performed on a security force squadron armory. They were considering installing a high density mobile aisle storage system. While the system looked good on paper and the salesman showed them all the space it would save, we were able to show in simple graphics that the proposed system was unworkable. Amrorers would spend a lot of time waiting to get to needed weapons. Shift changes would take a long time and rapid deployment was impossible. Due to the activity level in these types of armories, static weapon stoage systems are superior. Image left: Armorers must wait to open an aisle until others are done. This can create a huge bottleneck. Image Right: with a static storage system, all armorers can access all weapons. Weapon racks are also in rows aligned with the work flow. In this case efficient operations is more critical than simple space saving. The future looks much brighter for armorers and military units. As a result of the study SecureIt has adopted several new products and processes to assure that armories work and continue to work for a long time. 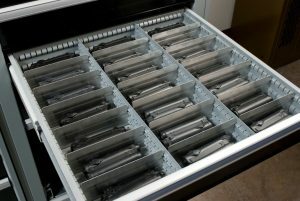 To address the safety issue of weapons falling from cabinets, SecureIt has developed a new “positive hold” storage solution. It is offered in all SecureIt weapon racks and kits are available to upgrade most other systems currently in use. When considering an armory upgrade or renovation, make sure the people you are working with have the required experience to assure a successful outcome.